Where does our electricity come from? It may come as a surprise that the US is still largely coal dependent. Only a very small portion of US electricity generation comes from renewable sources, and solar power itself has <1% adoption rate in residential sector. 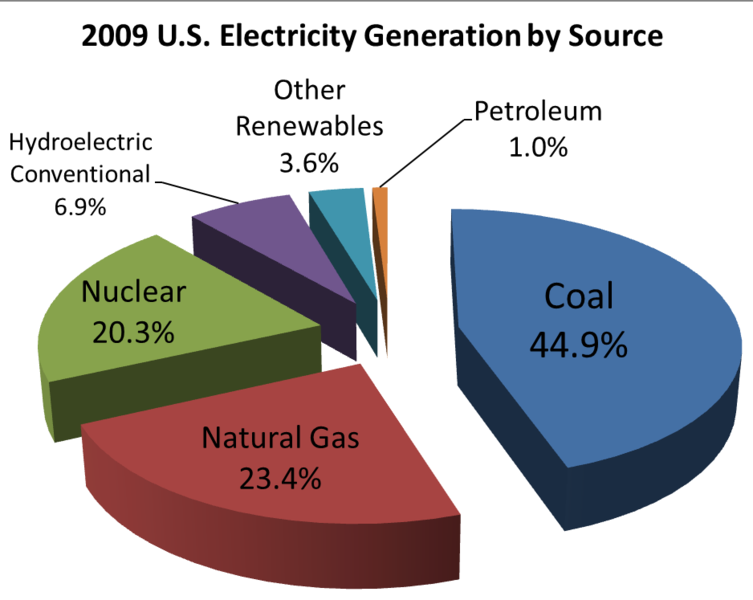 In 2009, fully 89.6% of electricity in the United States came from non-renewables: Coal, natural gas, nuclear, and petroleum. It’s not particularly encouraging to think about offsetting that amount of energy use, which is why we suggest focusing on individual and community consumption.